A tribute to faculty members who exhibit an extraordinary level of subject mastery and scholarship, teaching effectiveness and creativity, and personal values that benefit students. Contact: Jenny Wakida, Secretary to the UH Hilo Vice Chancellor for Academic Affairs, UH Hilo. Select list of prior UH Hilo recipients of the Regents' Teaching Medal. Awarded annually (10-campus systemwide award as of 2016). In recognition of scholarly contributions that expand the boundaries of knowledge and enrich the lives of students and the community. 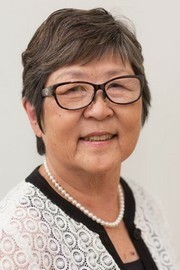 Contact: Gail Makuakāne-Lundin, Interim Executive Assistant to the Chancellor, UH Hilo. Prior recipients of the Regents' Research Medal. A memorial to the late Frances Davis, this award recognizes recipients for their dedication to teaching, for their demonstrated excellence as teachers and for their attention to undergraduate students. Contact: Jenny Wakida, Secretary to the Vice Chancellor for Academic Affairs UH Hilo. Select list of prior UH Hilo recipients of the Davis Teaching Award. Administered by the UH Office of the President. Recognizes exemplary service to the university by a UH employee in any occupational classification. This system-level award was established by the Board of Regents to honor the long-time UH employee and Board Secretary Willard Wilson. Contact: Courtney Domingo, Office of the President, UH System, cmnd@hawaii.edu, (808) 956-8207. Prior recipients of the Willard Wilson Award. Recognizes an individual who has exhibited sustained superior performance in a maintenance, landscaping, custodial, shop, or trucking position. Prior recipients of President's Award for Excellence in Building and Grounds Maintenance. Chancellor's award. Established by Kormondy endowment. Honors excellence in teaching by a lecturer or instructor. Recognizes recipients for their teaching effectiveness, personal values beneficial to students, effectiveness as an academic advisor and subject mastery and creativity. Contact: Jenny Wakida, Secretary to the Vice Chancellor for Academic Affairs. Nominations for this award are now being accepted. The deadline to submit all nominations is Friday, March 15, 2019, to the Office of the Chancellor, Attn: 2019 UH Hilo Faculty and Staff Awards Committee or email to uhhadmin@hawaii.edu. Presented at UH Hilo’s Awards and Recognition Celebration. Recognizes creativity in teaching, scholarship and artistic production at the University of Hawaiʻi at Hilo. Contact: Gail Makuakāne-Lundin, Executive Assistant to the Chancellor. Prior recipients of UH Hilo Annual Campus Level Awards. Awarded biennially (odd-numbered years in the spring). Honors outstanding achievement in scholarly and/or creative endeavors, including publication of well-reviewed books, publication in refereed journals, or performances or exhibitions at the state or national levels at the University of Hawaiʻi. Presented to a university support service employee who has made significant contributions to the University of Hawaiʻi at Hilo. Presented to a faculty/professional staff member who has made major professional contributions to his/her unit and to the university as a whole, and has made a positive impact on the welfare of students and colleagues at the University of Hawaiʻi at Hilo. Awarded biennially (even-numbered years in the spring). Presented to a building or ground maintenance employee who has made significant contributions to the University of Hawaiʻi at Hilo. Chancellor’s award. Established by Kormondy endowment. Presented to a UH Hilo tenure-track or full-time BOR-classified professional staff member who provides service related professional skills to the University of Hawaiʻi at Hilo and their community. Presented to an individual who has made a significant contribution to developing and promoting the mission and spirit of the University of Hawaiʻi at Hilo. Presented to an individual who has made outstanding contributions to student life beyond the boundaries of their official responsibilities at the University of Hawaiʻi. Prior recipients of UH Hilo Biennial Campus Level Awards.